WE ARE A FULL SERVICE SCREEN PRINT & EMBROIDERY COMPANY. TSP HAS BEEN SERVING THE FLORIDA GULF COAST FOR ALMOST TWO DECADES. 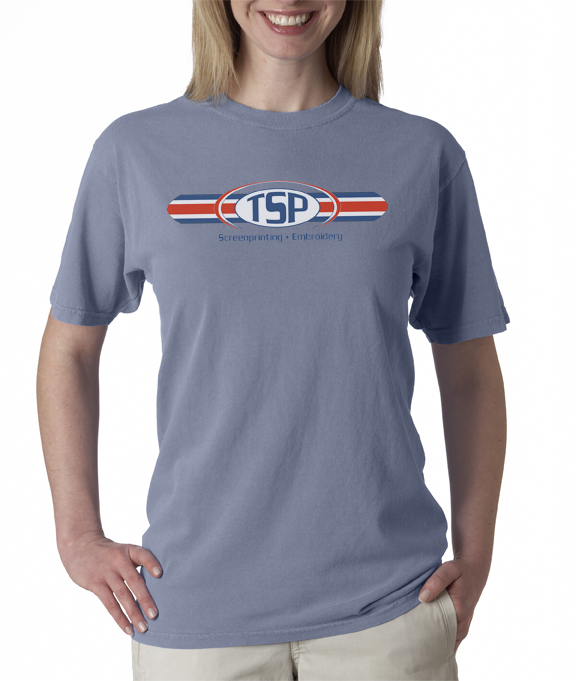 THE OBJECTIVE OF TSP IS TO PROVIDE OUR CUSTOMERS WITH THE BEST POSSIBLE SERVICE WITH THE HIGHEST QUALITY OF CUSTOM ACTIVE WEAR IN THE MARKET TODAY. OUR DEDICATED STAFF COMBINES MANY YEARS OF EXPERIENCE THAT IS HARD TO FIND IN THIS INDUSTRY TODAY. THIS EXPERIENCE AND ATTENTION TO CUSTOMER SERVICE HAS ALLOWED US TO BUILD A BROAD BASE OF LOYAL CLIENTELE. THOUGH WE ARE BASED IN THE SOUTHEAST UNITED STATES WE HAVE VERY SATISFIED CLIENTS ALL OVER THE WORLD. WHETHER IT IS YOUR ORIGINAL ARTWORK OR SOMETHING CREATED BY OUR STAFF. TSP WILL GIVE THE QUALITY AND SERVICE YOU DESERVE. ALWAYS " TALK TO TUCKER"